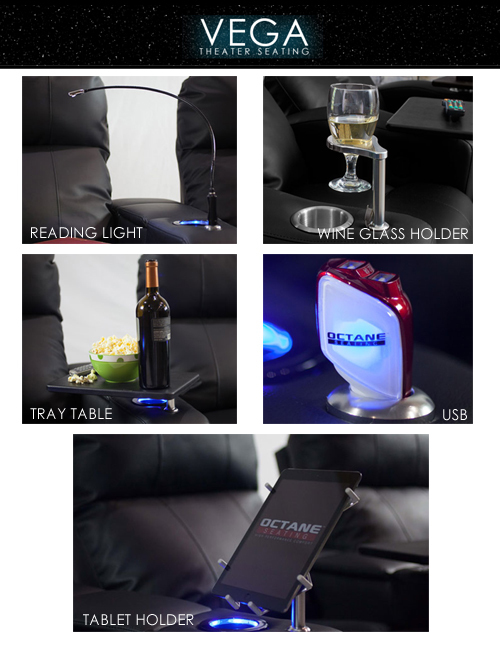 Set of 3 includes Power Recline, Power Headrest, Power Lumbar, USB port LED and Top Grain Leather Match. Available in Black ONLY. Straight Rows.